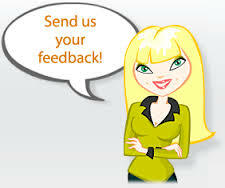 Please share your feedback and let us know how we might serve you better. We value your opinions and constantly strive to improve our service. We love our patients and we appreciate your time and inputs.